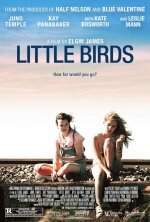 Little Birds Movie How far would you go? When Lily and Alison head to Los Angeles looking for diversion, they hook up with a trio of skaters and discover that life on the edge is fraught with danger. added the tagline: "How far would you go?"